Home BOLLYWOOD Tiger Shroff Got The Bollywood Grooving As He Started This Trend! Bollywood’s young gun Tiger Shroff who is known for his power packed action stunts as well as jaw-dropping dancing skills, started the trends of music videos amongst Bollywood celebrities. While the recently released music video ‘Urvashi’ starring Shahid Kapoor and Kiara Advani created noise amongst the masses, one cannot overlook the fact that Bollywood’s youngest Superstar Tiger Shroff is the pioneer of celebrities doing music videos. The actor who featured in the music video ‘Zindagi Aa Raha Hoon Main’ in 2014 soon after his debut created a rage amongst the audience. The actor further treated the audience with another video in 2015 named ‘Chal Wahan Jaate Hain’. Tiger Shroff became a face to reckon with for celebrities grooving to music videos with the 2016’s ‘Befikra’. 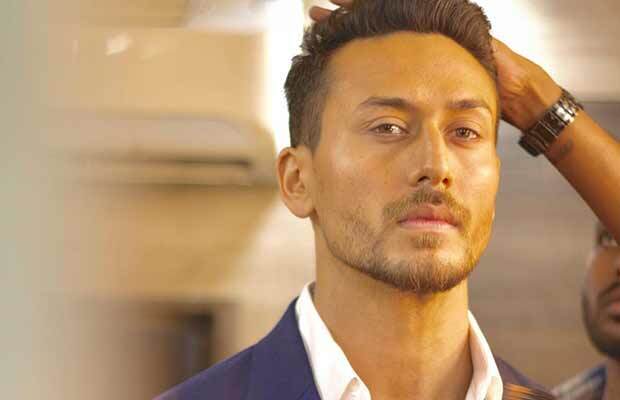 Recently, Tiger Shroff yet again created a frenzy on social media with his latest video ‘The Prowl Anthem – Ready To Move’ as he captivated the audience with his immensely swift and smooth moves. Tiger Shroff has been a hot favourite amongst the children and youth owing to his impeccable dancing skills that leave the audience in awe everytime he moves. As the actor started the trend of music videos, many other celebrities followed like Jacqueline Fernandez, Kriti Sanon, Sushant Singh Rajput and very recently Shahid Kapoor and Kiara Advani. Only 5 films and 4 years old in Bollywood, Tiger Shroff has carved a place for himself as one of the most bankable actors apart from being the youngest Superstar in the gen next. Packing a punch with his debut venture Heropanti, Tiger Shroff steppe d in Bollywood as the action star, with the super hit success of Baaghi and blockbuster Baaghi 2, the young actor has only further established himself as one of the most bankable stars. Currently, the actor is shooting for Karan Johar’s Student of The Year 2, after which Tiger Shroff will be seen in YRF’s action thriller opposite Hrithik Roshan.